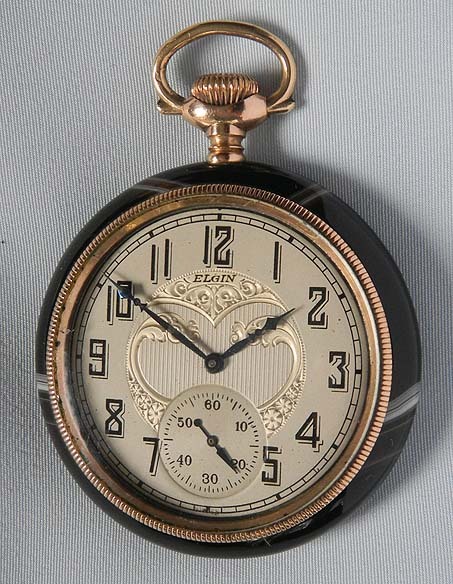 Fine Elgin 12/S striped agate antique pocket watch circa 1925. 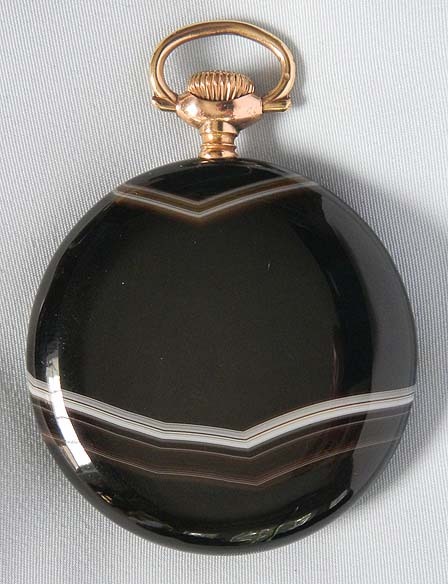 The entire case made from one piece of dark brow agate. Gold filled fittings. Nickel 15 jewel movement. Excellent.